I am building a blog spot to post updates of mixtapes, mixes, shows, dj mixes, live concerts etc. How about posting some more stuff? You were on a roll there for a while–I would definitely like to hear other mixes. Great work so far! Disregard. Just after posting I discovered that I’d bookmarked the link straight to this post rather than to the main page… Oops!! Wow, this mix is great! Thank you for saving all of the tapes over the years. I’m happy to see someone cared enough to catalog all of this out of love. I just sent you a little something through PayPal for bandwidth support. 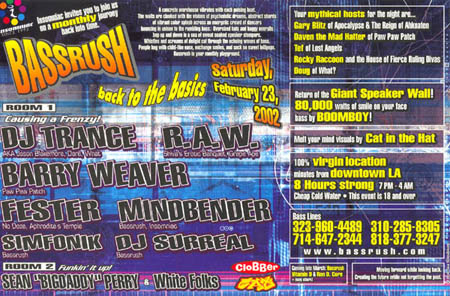 Wow missed this show….Barry, RAW and Sean Perry……with Boom-Boy sound reinforcement….that HAD to be AMAZING.